G Jones has been taking the electronic music world by storm with his incredibly inventive and personal artistic creations through sound. The artist has been selling out shows and playing to packed festival crowds throughout 2018 and has now released his much anticipated full-length album, The Ineffable Truth. The 11-track album is out now on Illusory Records and features some of G Jone’s finest work yet. The artist takes listeners on a journey through space and bass filled with top of the line production chops and emotionally stimulating sound. The Ineffable Truth confirms what everyone has been thinking; that G Jones – with skill and precision – represents the future of music in this industry. Download/stream The Ineffable Truth here. 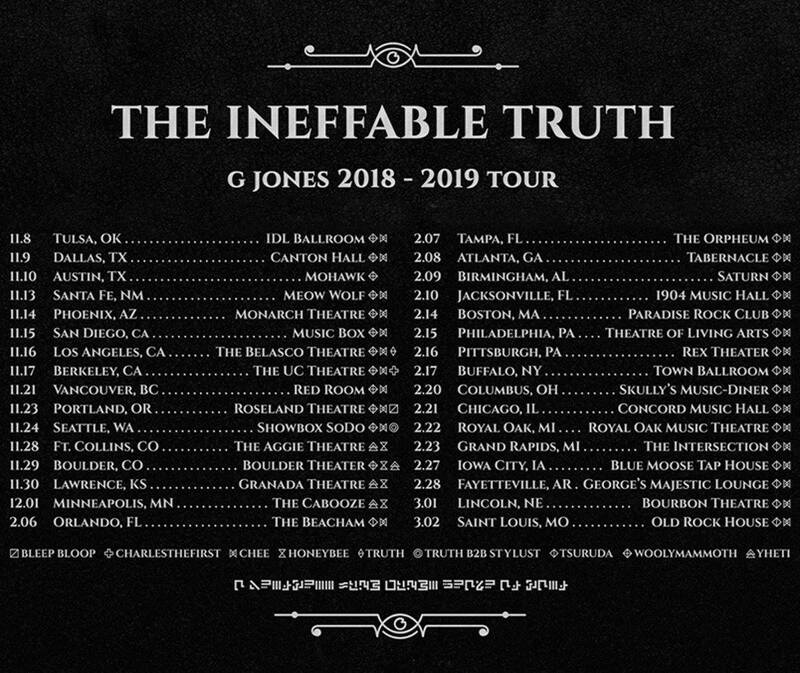 G Jones will be setting off on his The Ineffable Truth Tour this November and will continue traveling across the U.S. into March 2019 with a stacked lineup of support as well. You can get your tickets to see this masterpiece live here. The post G Jones Releases Full-Length Album ‘The Ineffable Truth’ Ahead of Headlining Tour appeared first on Noiseporn.